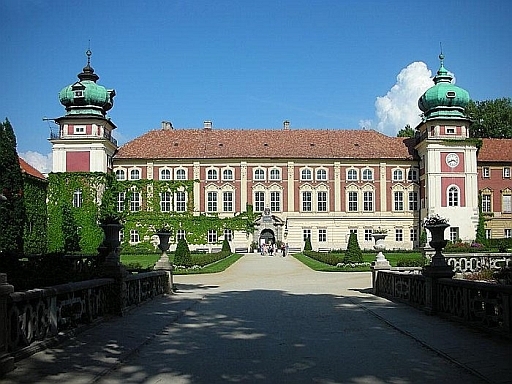 We will visit Łańcut Castle on our one day trip to the vanished world of Polish nobility. It is one of the most beautiful aristocratic residences in Poland, sometimes called the Potocki Palace, since that family lived here for a few generations. The palace was built in 1628- 1641 by Stanisław Lubomirski, and rebuilt in 1894?1903 in the style of French Neo-baroque. It is famous for its excellent interiors, orangery, and extraordinarily interesting collection of horse-drawn carriages. The palace complex is surrounded by an old and picturesque park in the English style filled with pavilions and farm buildings, all part of the former daily life of the castle. Here in these beautiful surroundings we will try to show you the everyday life of the nobility in their manor houses or palaces: who they were, what they were doing, dreaming of, what did they eat? How was the nobility culture in Galicia influenced by politics and how did the nobles change the Polish history? Of course we will meet the ancient palace residents: The first one is Stanisław Stadnicki, cruel and adventurous, known during his lifetime (1551-1610) as “Łańcut Devil”. He was a colorful character of his age, a villain, thief, and murderer who sowed terror among the local population. Initially, he became famous as a devoted soldier, who fought bravely alongside the king Stefan Batory, but later was known mainly for his predatory expeditions and long-term private wars. As a result, Łańcut and castle were almost completely ruined. Even now, the specter of “the Devil” appears near Łańcut as rider on a black horse galloping. You might also meet him in the chambers of the oldest parts of the castle. Other residents were two women who were unhappy in love: Izabella Lubomirska (1736-1816) and her daughter Julia Potocka (1764?1794). Izabella Lubomirska, known as the duchess, was the richest woman in the country. The love of her life was Stanislaw Poniatowski, but her father did not accept the choice of his daughter’s heart, believing that this marriage would be a misalliance. She eventually married Stanisław Lubomirski, lord of Łańcut. Fate can be tricky, because Stanislaw Poniatowski later became king. Now Izabella’s spirit, in ethereal blue robes (her favorite color), walks around the castle, still groaning in the corners for her unfulfilled love. Julia, daughter of Izabella, was the wife of the traveler and writer Jan Potocki, who was a talented writer, but as a husband turned out to be fatal. Julia, considered to be one of the most beautiful women, was very lonely in marriage. The heart does not like a vacuum, so there quickly appeared the man who filled Julia’s heart: Eustace Sanguszko. Today, her ghost is holding a pen over the unfinished letters to her beloved?